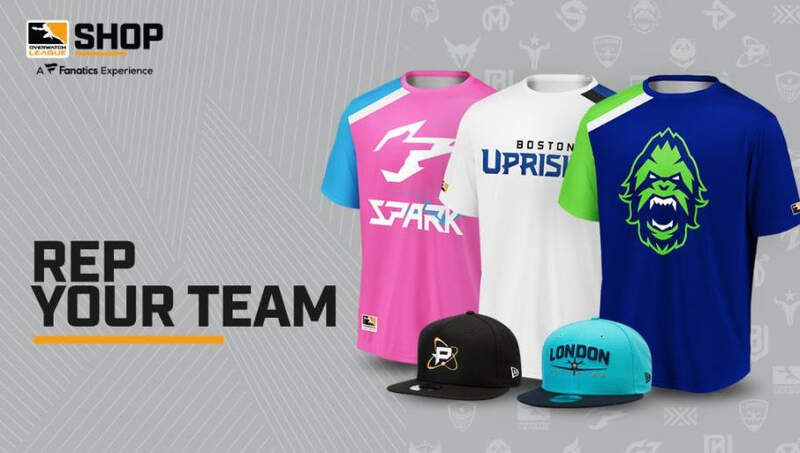 Overwatch League merchandise is available on the official website for fans to represent their favorite teams. The Overwatch League is currently in the second stage of its 2019 season. Following its inaugural season, the League has seen the introduction of eight new franchises to bring the total number of teams up to 20. The second season also saw the Overwatch League partner with sports retailer Fanatics. The American online retailer is partnered with major sports leagues such as the NFL, NBA, MBA, NHL, MLS and UFC, and the multi-year deal signed with OWL is its first foray into esports merchandising. Overwatch League merchandise includes sweatshirts, headwear, flags, posters, footwear, pants and more, all available in the colors and branding of the twenty teams. One of the main products available are team jerseys, which allow fans to buy a team jersey that boasts the name and number of their favorite players or customize it with their own. Overwatch League merchandise can also see sales, such as most recently a promotion which saw 15 percent off orders over $50. The Overwatch League's producer Blizzard Entertainment is also seeing a spring clearance sale of up to 75 percent off Blizzard gear. The Overwatch League runs weekly matches Thursday to Sunday for a five-week stage, capped off with a stage playoffs. Four stages make up the regular season. The champions of 2019's first stage was the Vancouver Titans.